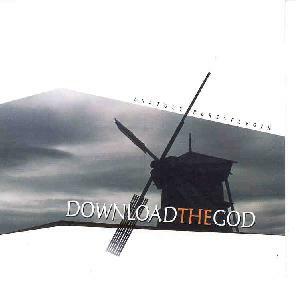 Anatoly Pereselegin - "Download The God"
Recorded in Israel, Download The God draws on inspiration from the Old Testament as its 6 tracks reveal, all titled "Isaiah" and "Ezekiel". The music is primarily orchestral electronic, with Pereselegin developing thoughtful, emotional themes that keep the listener at attention as the music evolves through it's various motifs. Pereselegin quickly establishes a trademark sound, utilizing quirky, somewhat minimalist, repetitive melodic patterns, reinforced by intense orchestral walls of sound. There's actually quite a bit of development to the music so the minimalist categorization may be tenuous, but Pereselegin does a good job of laying down slowly evolving patterns that rely on accompanying layers of music and sound to keep things moving along. Pereselegin also continually focuses on percussion, which for this listener always makes purely electronic music more interesting and enjoyable. A recurring theme is the full volume, fast paced runs that create a symphonic carnival atmosphere while still being highly passionate and intense. I also hear sections that sound like a cross between Keith Emerson and Vangelis... prog rock fans who frequent their local symphony hall step right this way. Overall, a solid orchestral electronic effort that includes healthy doses of classical avant-garde experimentations and a fair number of spacey passages. For more information you can visit the Electroshock Records web site. Electroshock Records are distributed in the USA and Canada through Eurock. You can visit their web site. You can also obtain Electroshock releases through the Gamma Shop web site.